Demi Lovato's New Tattoo Inspired by Emotional Track "Warrior"
This girl is “Unbroken,” stands tall like a “Skyscraper” and now she’s proclaiming that she is a “Warrior.” Demi Lovato has to be one of the most inspiration women, even if you don’t like her music. She’s managing bipolar disorder and is a voice for anti-bullying campaigns. In between her personal life, Demi finds time to live a happy life and make music that just pours from her soul. Demi came out recently, Demi’s fourth album, is full of music to inspire and lift you up. While she, of course, gives you breakup soothing musical aloe vera, Demi is an album about strength. 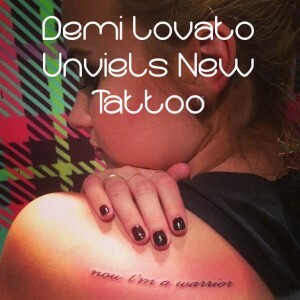 That’s why Demi’s new back tattoo is so perfect. 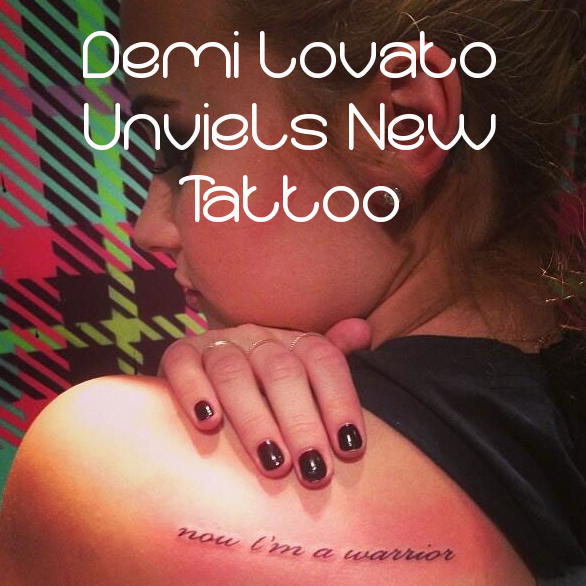 She got “now I’m a warrior” written in cursive on her left shoulder. The tat is simple, elegant and strong, just like Lovato and her music. Demi told Ryan Seacrest that her music has always been very personal, but “Warrior” take the cake for the most emotional.